In the beginning of the sixties, Gabriele's father Vittorio,entered into an agreement with Emilio Fochi, at the time very known industrialist of cured ham. 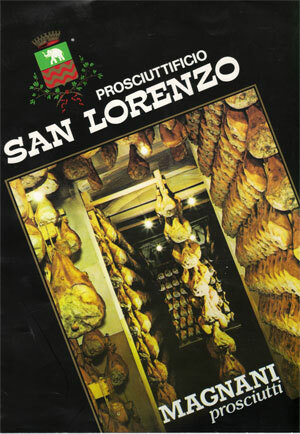 Together they founded the new company 'San Lorenzo' in Calestano ,Parma,(as in the 2 photographs below) and also involving Salumificio Rivazza, in Poggio S.Ilario, Parma. 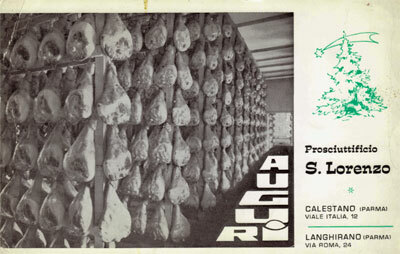 In the same period with others industrialist of cured ham, Magnani & Fochi, realised the project to create a 'Consorzio' to protect their production in the Parma area. 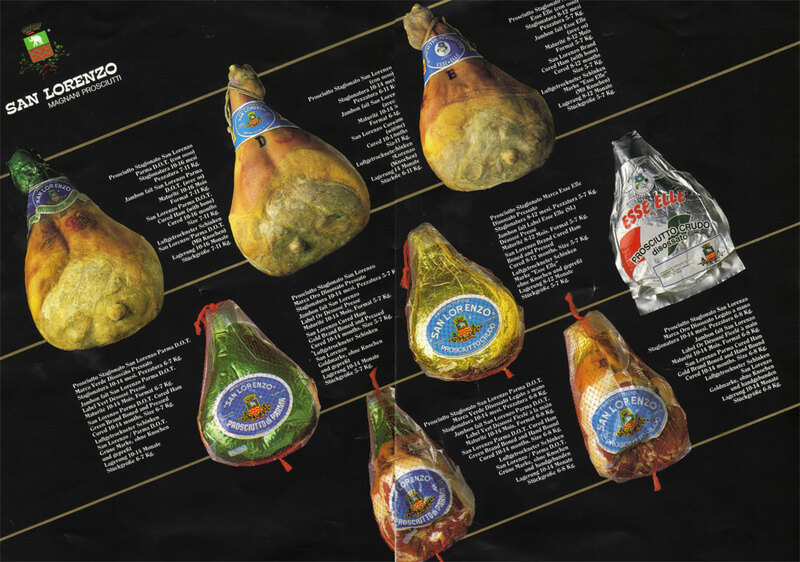 This action gave birth to the idea of 'Consorzio del Prosciutto di Parma'. Now the 'Parma Ham' was called 'DOT' as well. After that, Vittorio decided to buy all the Calestano Factory, and the name 'San Lorenzo'. In the meantime, he acquired another big factory in Lesignano Bagni, in Langhirano, the center of the most important industries of 'Parma Ham'. 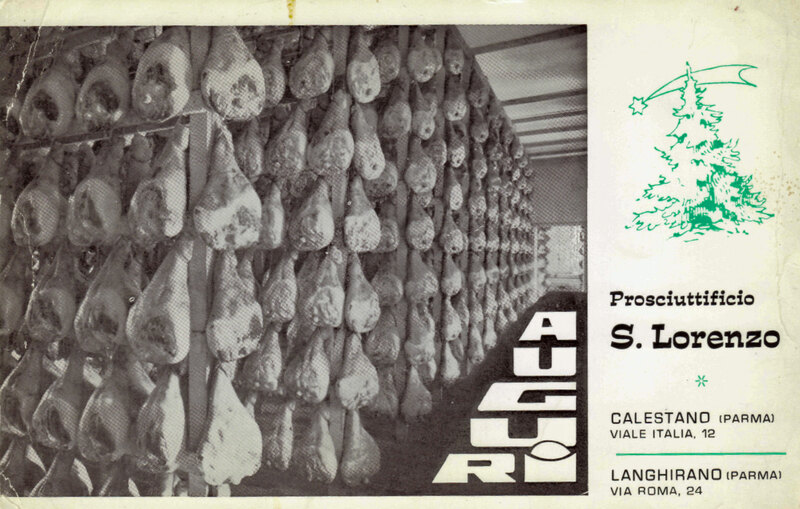 Langhirano lies 'in the Parma Hills Valley, a fantastic zone to produce ham, and this was the first move of Vittorio Magnani there, in order to get an industry also in Langhirano. With the two factories, both under the name of 'San Lorenzo-Magnani Prosciutti' , at the beginning of 70', Vittorio could produce around 100.000.hams a year, making 'San Lorenzo', one of the leading industry in 'Parma Ham' production, for retail in Italy and Europe. 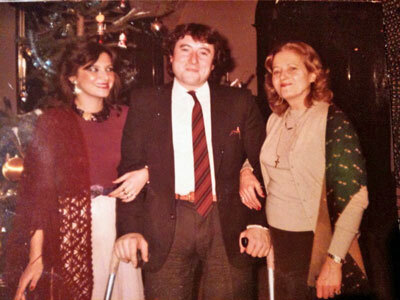 'San Lorenzo' Greeting Christmas Card 1972. 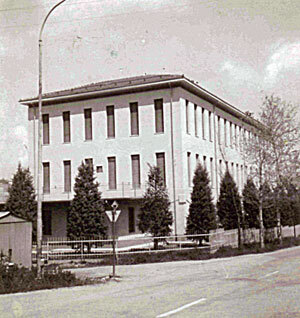 In 1972, Vittorio acquired another factory and left Lesignano Bagni. This new factory was in the center of Langhirano, via Roma as in the card. 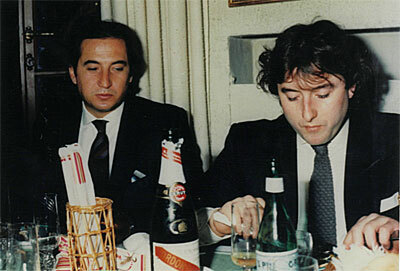 He took over a big company in the 'Parma Ham' production. 1962, Gabriele (top left). 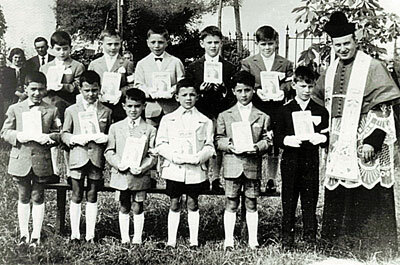 Holy Communion. 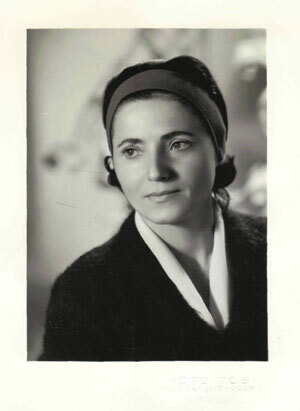 Olga, Gabriele's mother, in 1962. 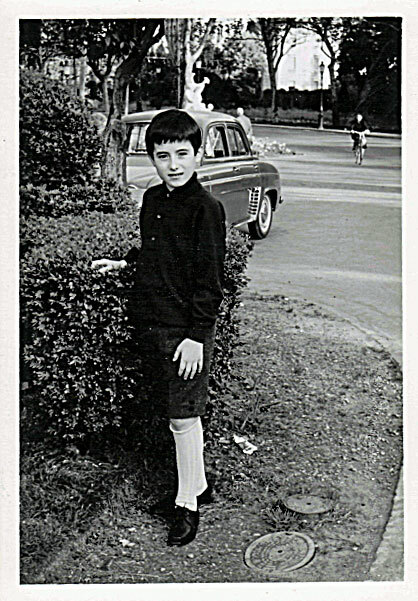 Gabriele, 1965, Giardino Ducale, Parma center. 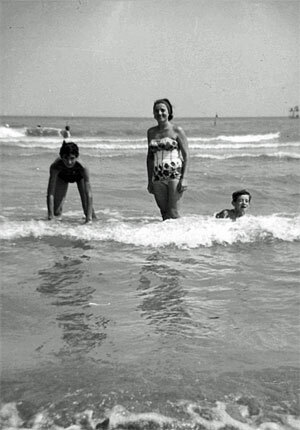 Olga, Silvio, Gabriele, Forte dei Marmi,1965. Silvio and Gabriele, Napoli 1966. Vittorio, Gabriele's father, 1969, during one of the first Silvio 'country cross' races. 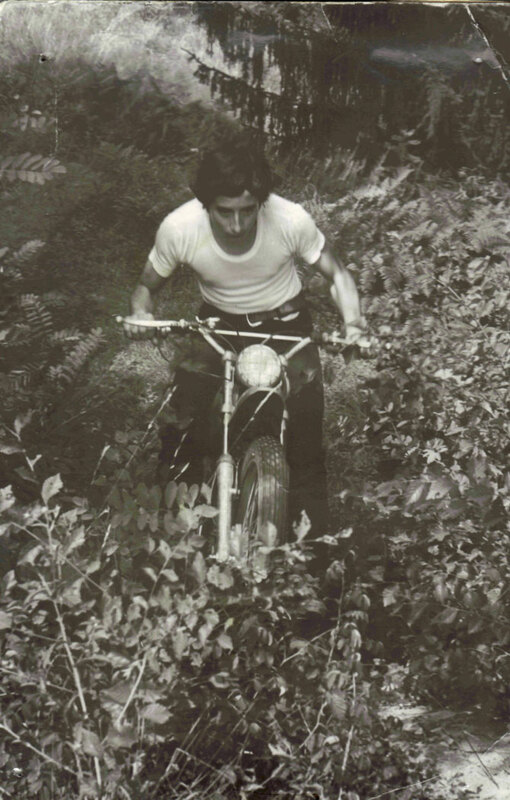 Gabriele with Montesa motorbike, 1970. 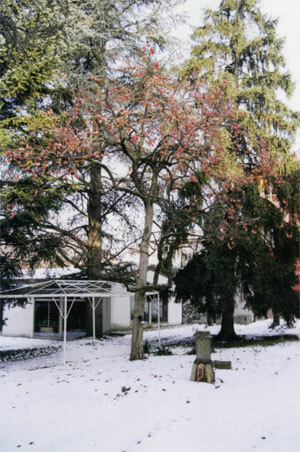 Foto Carlo Felice Corini (Ice). 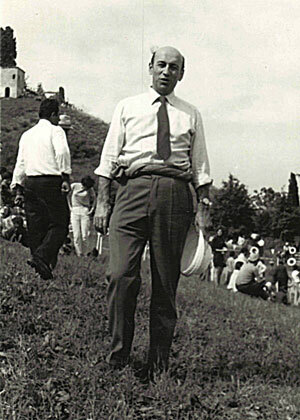 Gabriele, Sala Baganza, Boschi di Carrega, Lago Verde, Summer 1970. 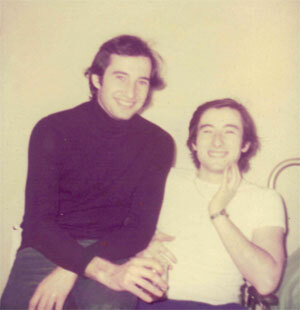 Gabriele with his friend Mario. They caught 4 trouts in Lago Verde. 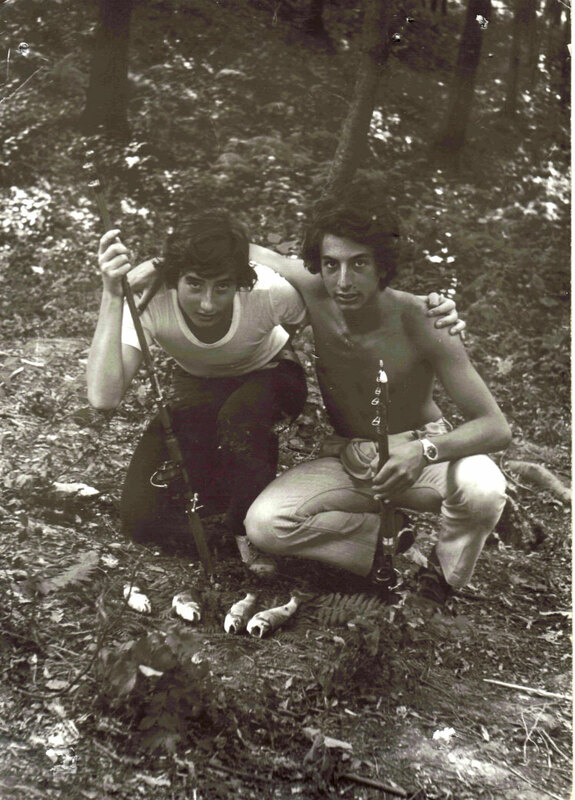 Summer 1970. 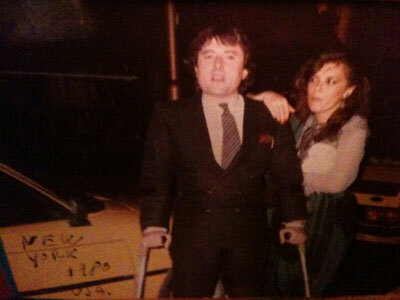 Silvio and Gabriele, Stoke Mandeville Hospital, Spinal Injures Centre, November 1973. In spite of his terrible injury , the period of the Hospital in England was incredibly short for Gabriele; hard months of treatments and physiotherapy that allowed him to make and excellent rehabilitation, and just after 5 months from the car accident, he brought back to his life, to his school, to his friends, girlfriend and amusements. Angling was really one of his great passions. 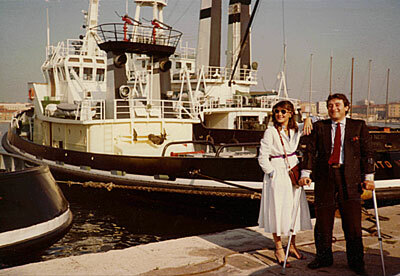 Gabriele with his father organised a new technical system, to reach again the boat on the river Po. He had been able to resolve as well, the problems to reach also other wild places, like rivers and canals. 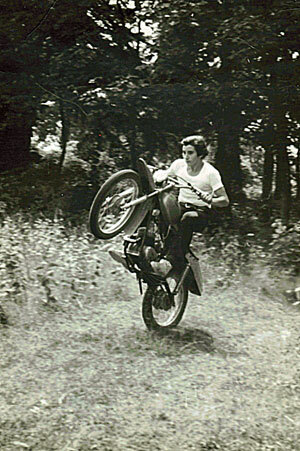 That was possible thanks to a very very unusual motorbike at the time: Honda 3 wheels. 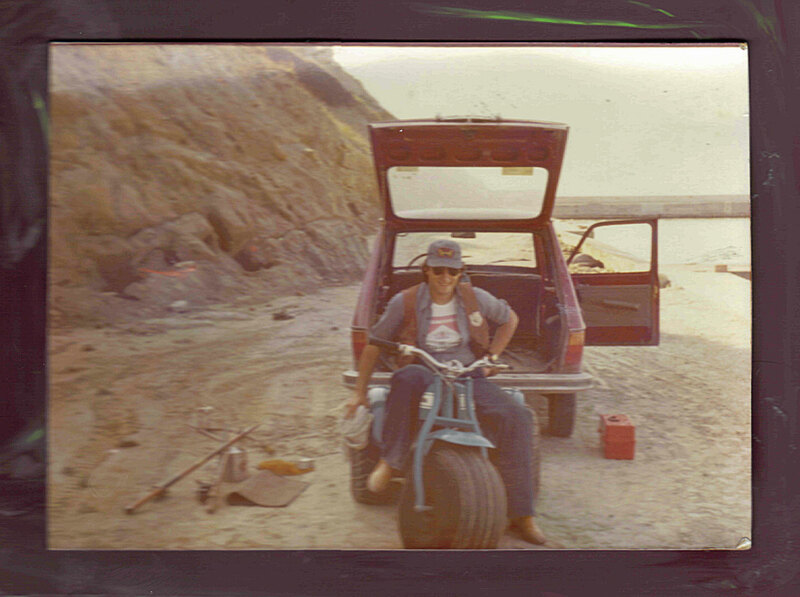 That was the right tool! 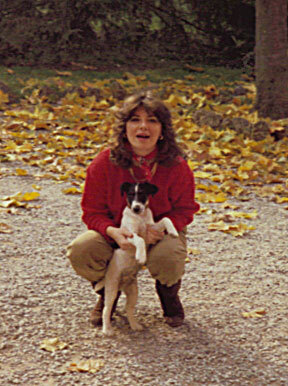 As in this picture, in Castel di Mezzo, Gabicce Mare, in 1974. Gabriele saw for the first time the Honda 3 wheels at the Cinema, in one of the James Bond' films in the beginning of the 70'. 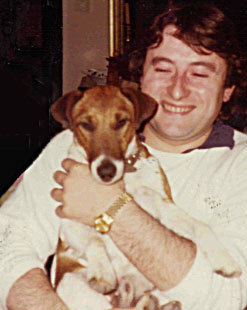 Yes, absolutely, James Bond gave to Gabriele a real fantastic idea! 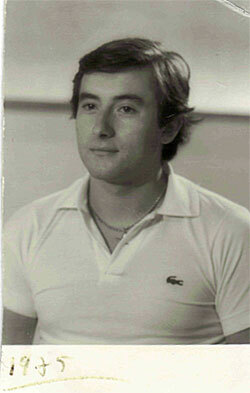 "Gabriele , in the indoor swimming pool. Palazzo Magnani Park, 1977. 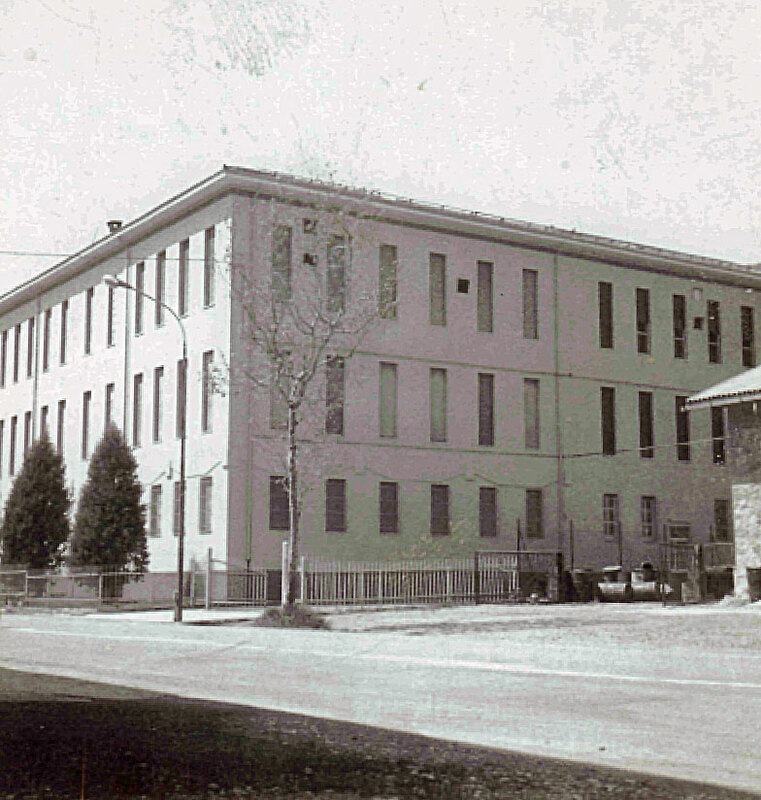 The swimming pool was built in 1974-75. In the water, every day, Gabriele continued to do a very healthy physiotherapy. 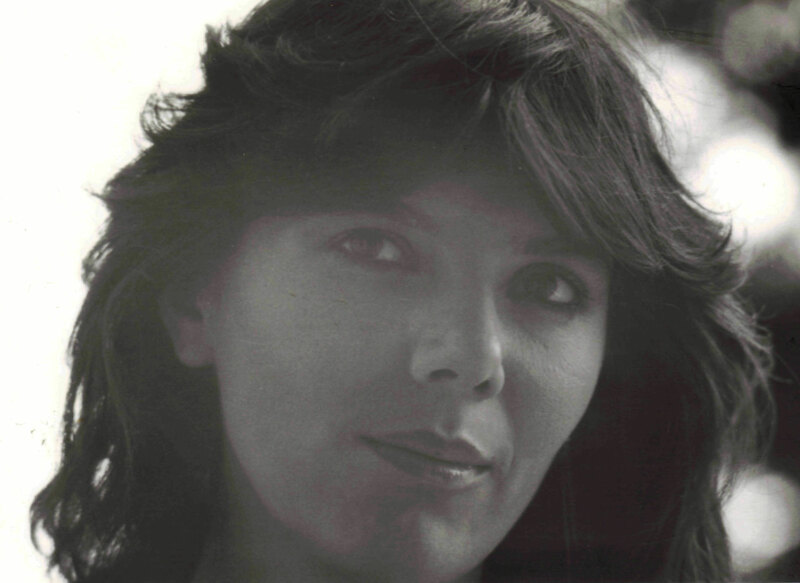 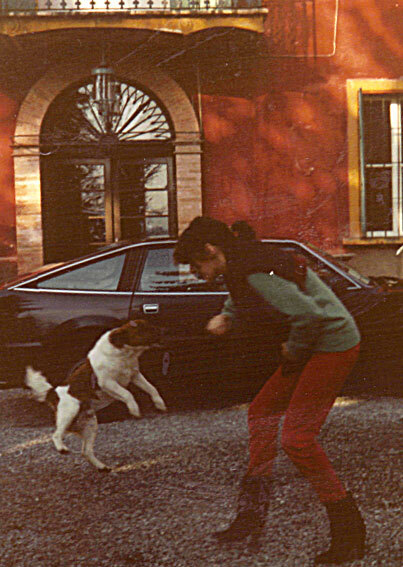 In 1977 Gabriele met Monica for the first time. 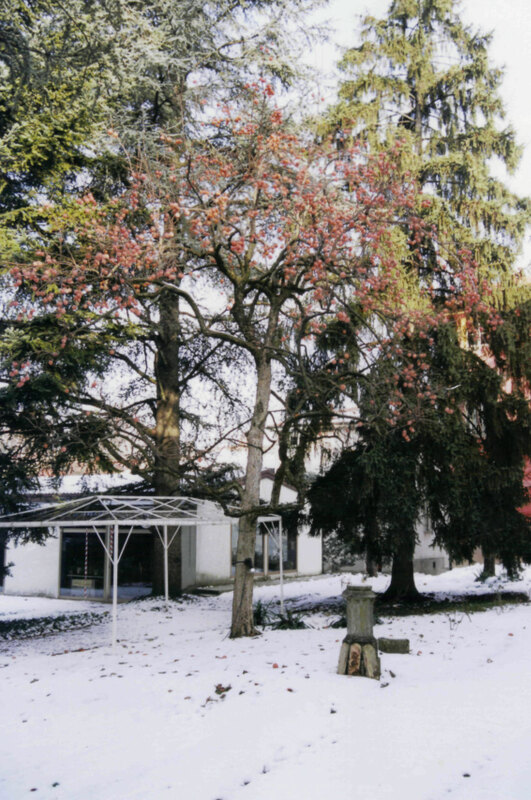 Swimming Pool, white building, view from the park, 1977. 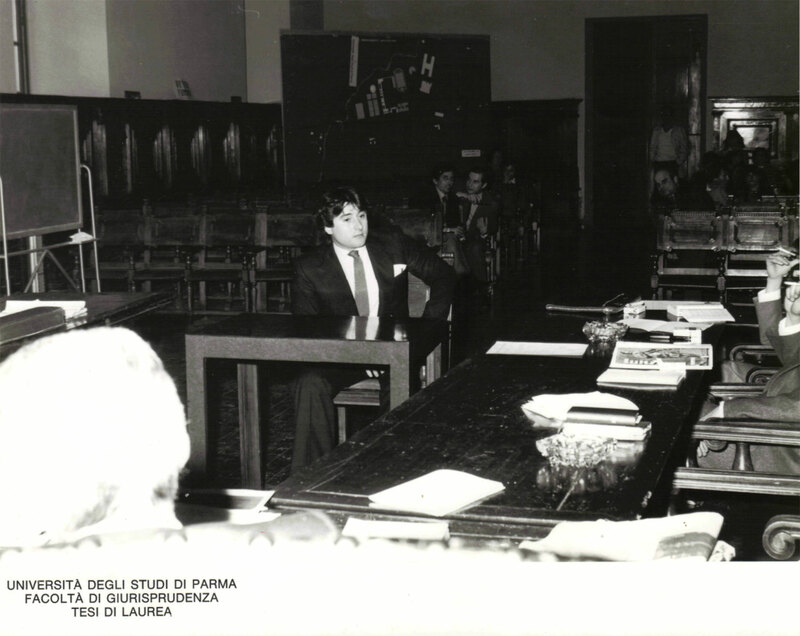 Gabriele receive his doctor's degree in law. 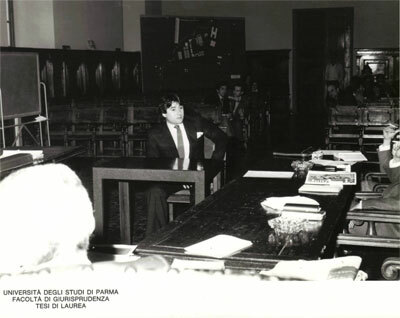 Aula Magna, Università di Parma, March 1979. Monica , Gabriele and Olga , Sala Baganza, 1980. Gabriele with his first Nicolino: Fox Terrier, smooth coat. Sala Baganza 1980. 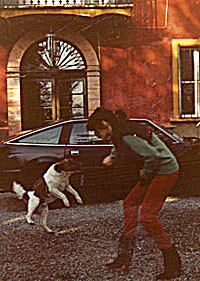 Monica, Sala Baganza, spring 1980. 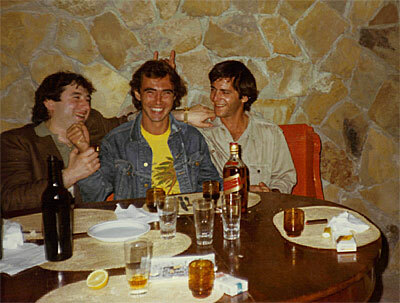 Gabriele, Giovanni, Federico. 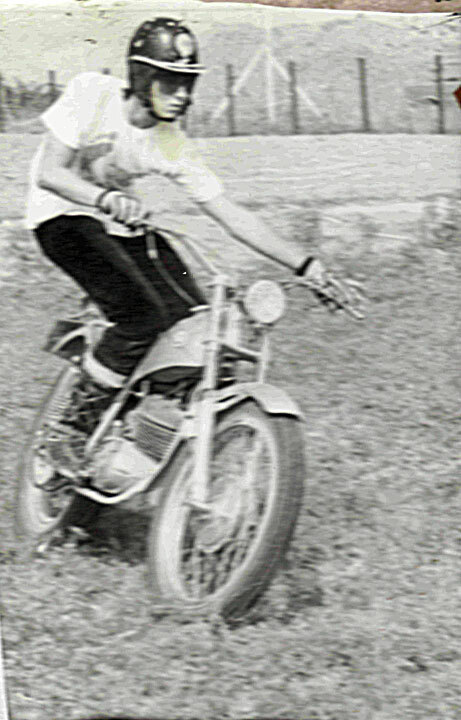 Pratopiano, September 1980. Gabriele and Silvio, Dinner 'Associazione Giovani Industriali', Parma, December 1980. 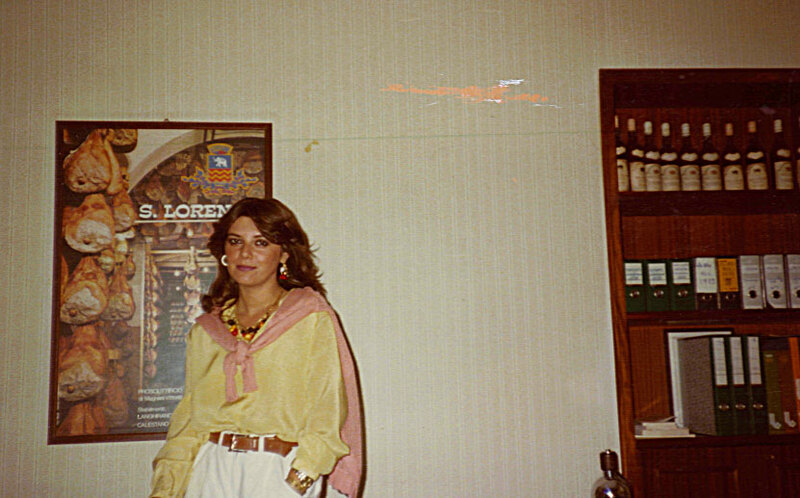 Monica, Sala Baganza, September 1980. 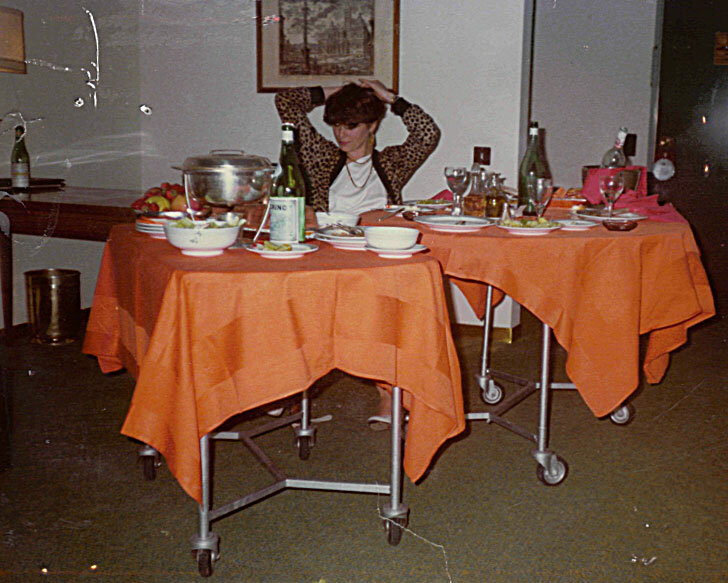 Monica, Cavalieri Hilton Rome, October 1980. 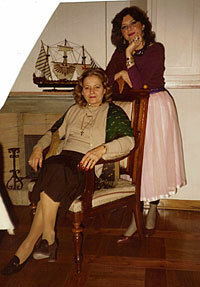 Gabriele and Monica, New York, 1980. 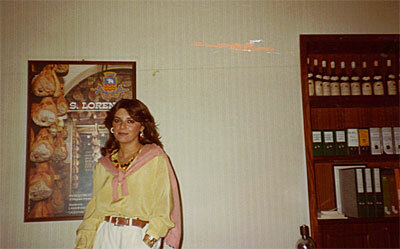 Monica , Prosciuttificio San Lorenzo Headquarter, Langhirano, 1981. Gabriele & Monica, Livorno 1981. 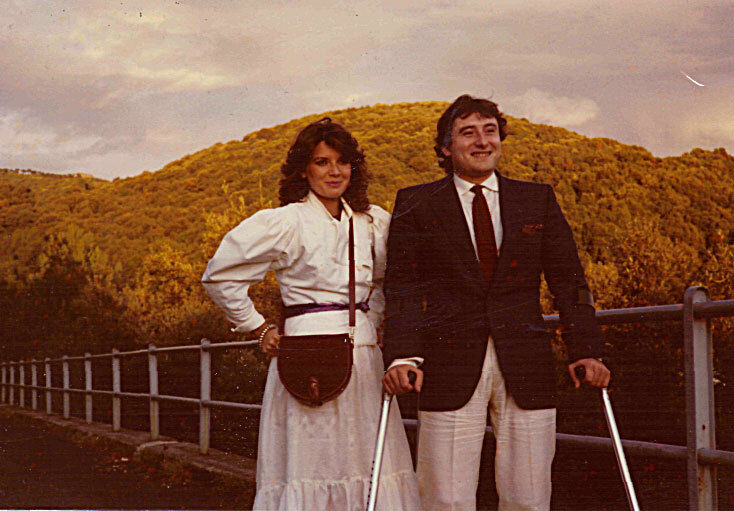 Gabriele and Monica, Caserta 1981. 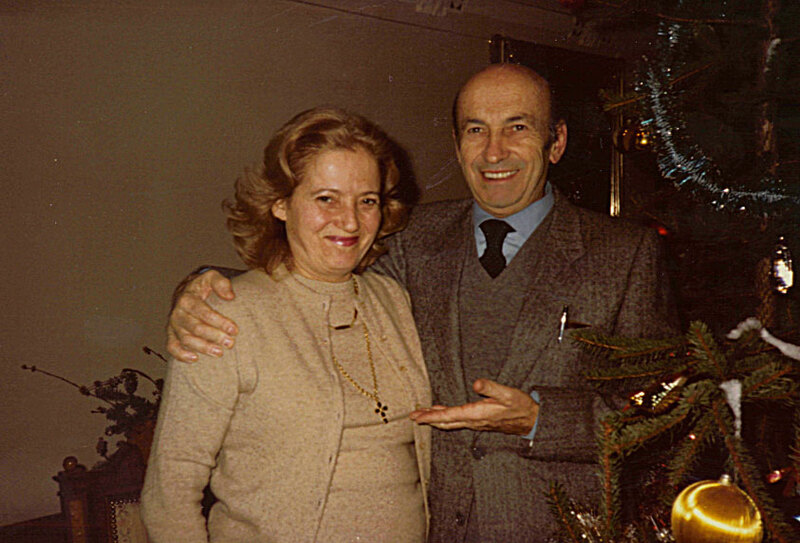 Vittorio and Olga, Sala Baganza, Christmas 1981. Olga and Monica, Christmas 1981. Monica with Nicolino the 1st (the Crazy Fox Terrier!) 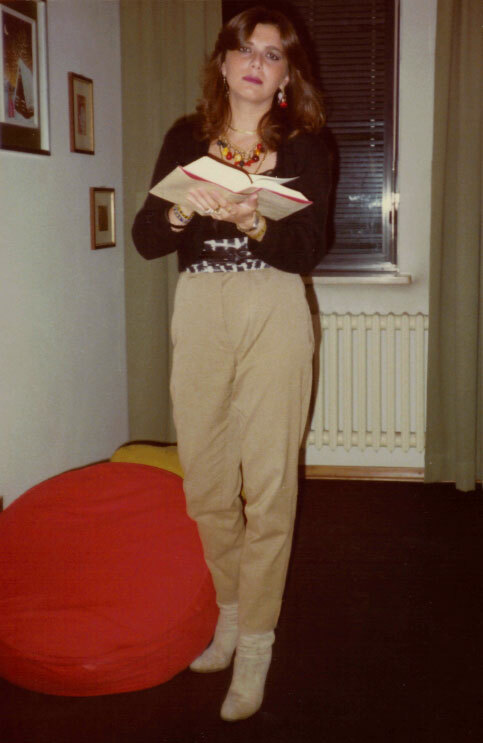 Sala Baganza, 1981. It's Arrived Nicolino the 2nd! - Sala Baganza, 1981. 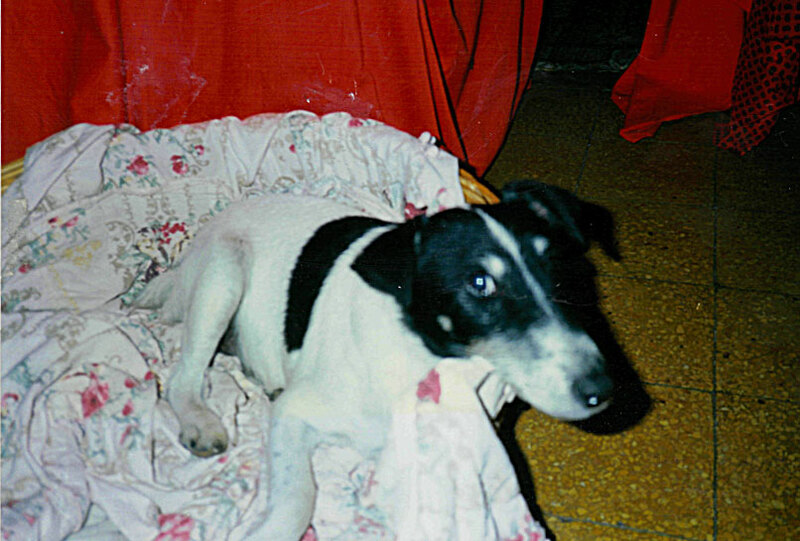 Nicolino the II, in his basket. 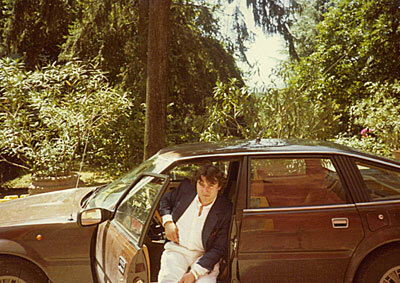 Sala Baganza, 1981. 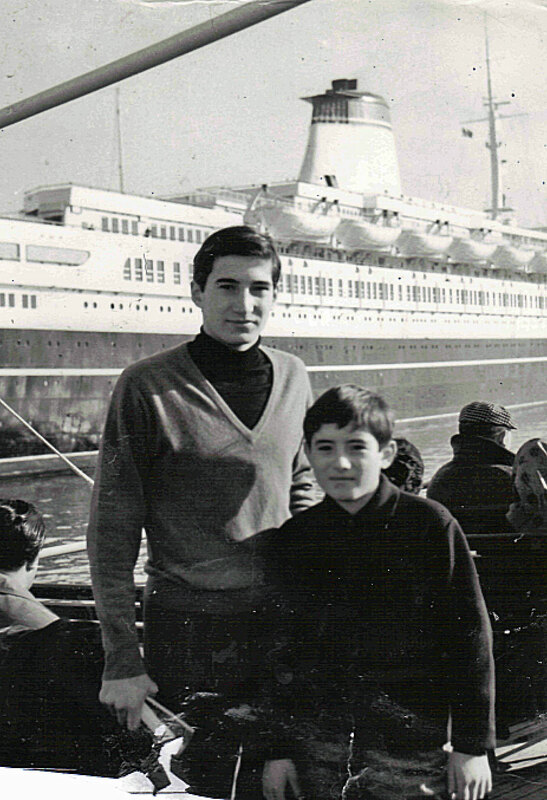 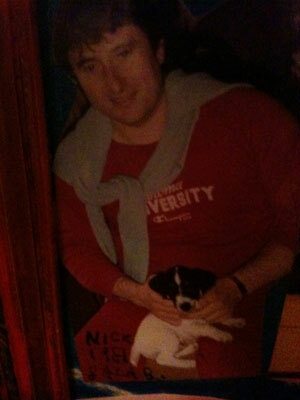 Gabriele con Nicolino II. 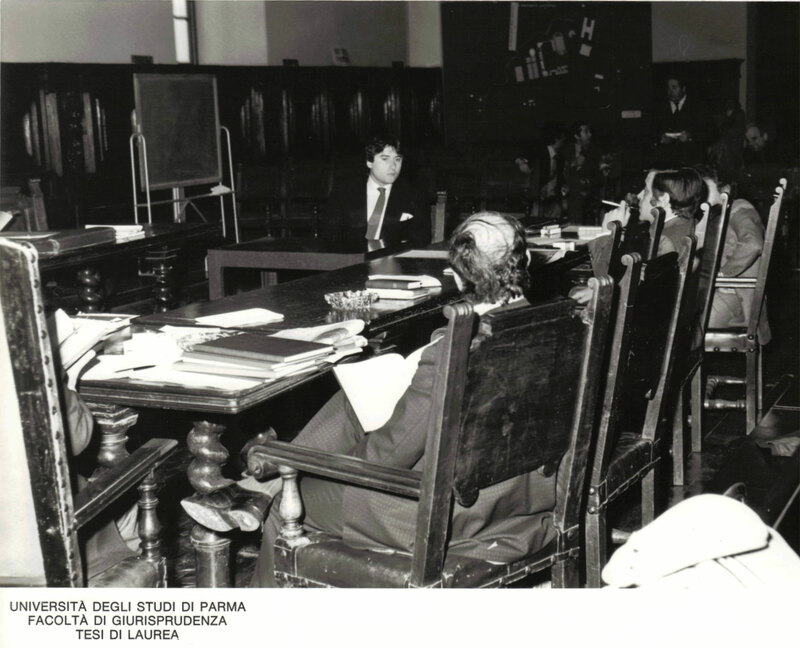 Sala Baganza, Ottobre 1981.